I’ve been trying to wade through my to-be-read pile lately and Highland Storms was at the top of the list. It’s the second novel I’ve read by Christina Courtenay. I enjoyed its prequel Trade Winds last year and so I was eager to continue the story of the Kinross family in this novel. And I wasn’t disappointed – the characters were real and appealing to me and I got lost in the story. It was a very entertaining read. I’ve invited Christina to join me today to answer a few questions about Highland Storms. Welcome Christina. Shall we get started? 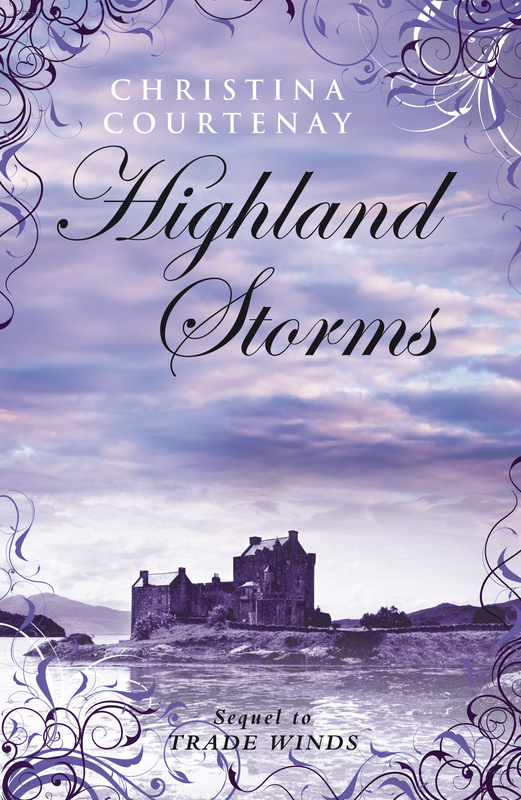 Highland Storms is a historical romance and adventure story, set in Scotland in 1754. It’s about a man who goes back to his roots, following what he sees as a betrayal by his brother and his childhood love. Brice Kinross needs a fresh start, but when he takes over the family estate in the Scottish Highlands, there’s trouble and he finds himself unwelcome. The estate has been badly managed, money has gone missing and someone wants Brice gone. He discovers an ally in the beautiful housekeeper, Marsali, but can he dare to trust her? 1754 was not very long after the Jacobite uprising, a period which has fascinated me for a long time. I’ve read a lot about it and I was particularly interested in the way the Highlanders were treated (or rather mistreated!) after the rebellion was quashed. The English seem to have been intent on erasing all Highland culture completely and some of the reprisals were extremely brutal. This left scars, naturally, and I decided it would be interesting to use this as the background for my novel. Although half Scottish by birth, the hero has grown up in Sweden, so he is to all intents and purposes an outsider, even though he’s officially the new clan chief of his father’s Scottish estate. I tried to imagine the sort of reception he would get from tenants who had just learned to mistrust anyone who wasn’t a true Highlander. How would he deal with that and overcome their prejudices? He would have to prove himself worthy of being one of them. I tried to stick to the facts as closely as possible and the attitudes of the Highlanders at the time, as well as those of the English soldiers posted in Scotland to keep order. By 1754 things were calming down a lot though, so when I needed a villain I had to invent a particularly nasty English captain with a personal grudge in order to carry on the reprisals. I think in reality that probably wouldn’t have happened this late (although you never know!). I did a lot of reading, obviously, about the Jacobite rebellion and its aftermath (I can particularly recommend a book by Maggie Craig called Bare-Arsed Banditti – love that title!). 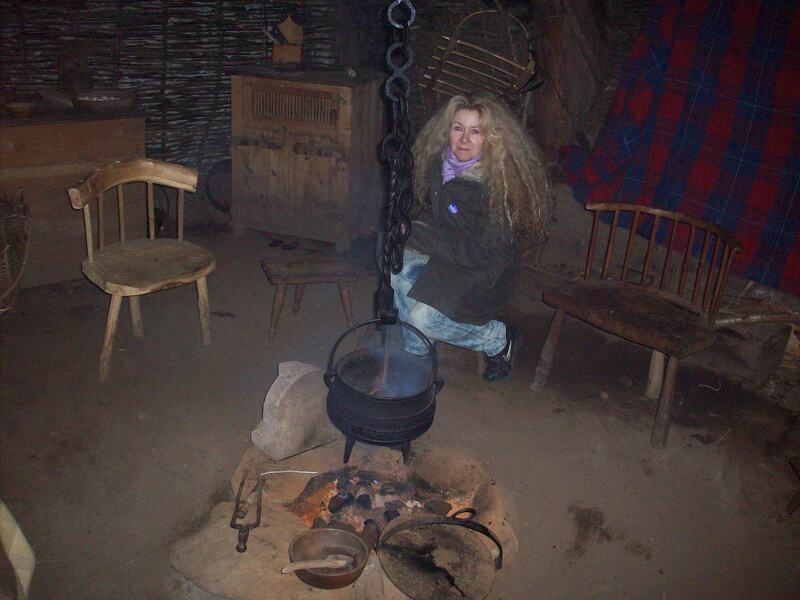 I also went to Scotland to research how people lived at that time, what they ate, wore etc. and I was lucky enough to find an outdoor museum, the Highland Folk Museum at Newtonmore near Kingussie. There they had old dwellings (or huts) built to show people what the houses used to look like and how they were constructed. I was able to go inside one and sit by the peat fire – it was quite dark in there (no windows) and it smelled strongly of wood smoke. But it was wonderful to be able to experience this for real and I used that in the book. I also visited castles, drove through the beautiful Highland glens and stuck my hand in a loch to see how cold the water would be. Although I have used real historical figures in other novels, in this particular one the characters are all imaginary. I find it easier to make them up, because if I use real people I’m afraid I won’t do them justice or perhaps even unintentionally insult them! If you only have imaginary people, they can go anywhere and do whatever you like, whereas using real ones means you have to know where they were at certain times and fit in with that. Makes it a lot more complicated! To a large extent, I used my own experiences during the research trip, and of course my imagination. When you go to the Highlands, it is quite easy to imagine yourself back in time because although some things have changed, there is a timelessness about the whole place that makes you feel a connection with the past. I usually try to add little details to my stories to make them feel more authentic, like for example the washing scene. Back in the 1700s, I read that Scottish women did their washing by standing in pairs in big wooden tubs with their feet bare and sort of treading on the sheets or whatever they were washing. I thought this must have been quite a treat for the local men as the women had to hike up their skirts in order to do this, so I couldn’t resist including a scene like that in my novel. Other than that, it’s just a question of trying to get the facts right without making it sound like a history lesson! Thanks for answering my questions so thoroughly, Christina. I think what you’ve said has given readers an insight into Highland Storms – and, if they are like me, they’ll now be eager to read the book. If they’d like to sample an excerpt from it first, they can click here. For a chance to win a copy of Highland Storms, leave a comment on this post. The winner will be drawn on Monday. 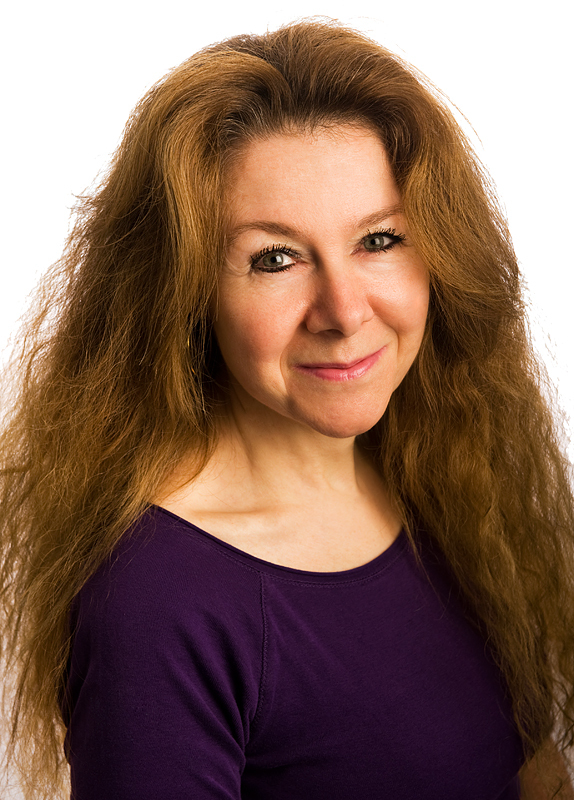 Christina’s next book, The Silent Touch of Shadows, is due to be released on 7th July. Readers can learn more about Christina and her books by visiting her website, Christina Courtenay and can follow her on Twitter – @PiaCCourtenay. 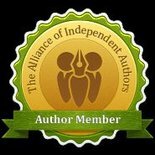 This entry was posted in June 2012 and tagged author interviews, Christian Courtenay, Highland Storms, historical fiction, romantic fiction, Scottish fiction, Trade Winds. Bookmark the permalink. Thank you, Rhonda, and many thanks again Dianne for having me as your guest!